Analog or IP Cameras ? 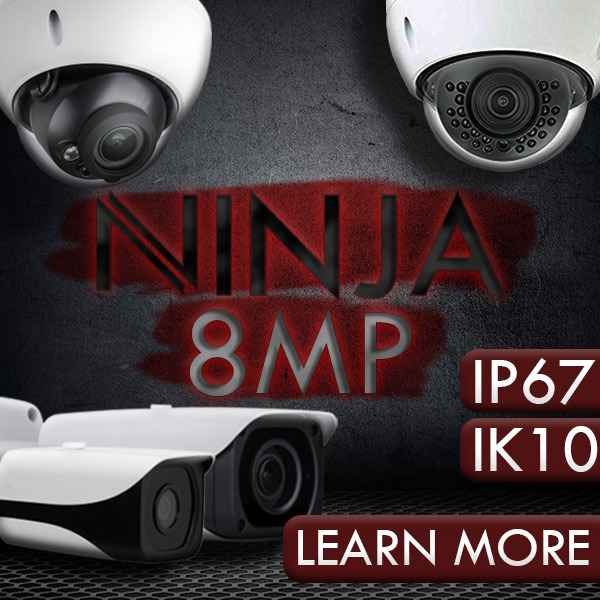 This IP surveillance system kit comes with an 8 channel NVR with PoE+ and 4 HD 4MP Motorized bullet security cameras. The NVR comes with a free pre-installed 1TB HDD and can record up to 4K (2560×1440) resolution on all 8 channels. The bullet security cameras capture 4mp resolution footage and transmit that footage to the NVR via the included RJ45 cable. The kit also comes with FREE Monitoring Software so you can monitor your surveillance footage from anywhere. Set your NVR to automatically send you an e-mail or a Push notification with video clip every time there is a motion triggered event, so you'll never miss anything important. The Face Detection function is used to search for or identify individuals. The Smart Search function assists you in easily finding any motion detection footage for future analysis, making monitoring simple and effective. Its H.265 compression greatly reduces the size of your digital video files without compromising image quality, which means unbeatable recording picture quality that doesn't eat up valuable hard drive storage space. The IP NVR can auto detect the signal from cameras without any settings, making operation a breeze. Don't have immediate access to your NVR? Don’t worry. You can effortlessly log in to your recordings by accessing them on any compatible internet ready device, such as your smartphone or tablet. Multiple recording options allow you to set your NVR to record on a set schedule: continuous around-the-clock recording or only when motion is detected, to save hard drive space. You can also select the number of cameras displayed on one screen. With multiple playback options you can even hide certain cameras from other users. 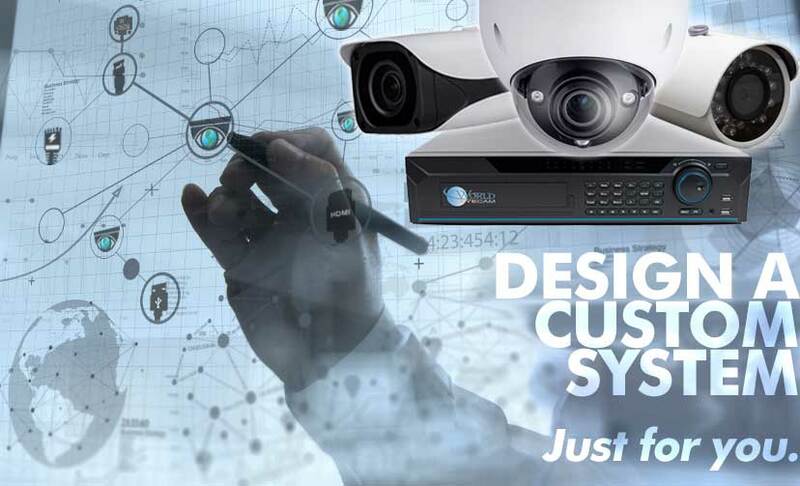 Digitally control your PTZ cameras (move the point of view up, down, left, right, and zoom in and out) from your monitor and mobile applications. This is the 3rd system I've purchased and all have worked flawlessly. I've had the first one for over 4 years from Worldeyecam with Imaxcam brand and just purchased this one and have had great results so far. While rating a product I generally focus on two things: performance and cost. Truly speaking it is both cost efficient and well performed device. I never expected I will get such security in such a convenient range. The NVR comes with a free pre-installed 1TB HDD and can record up to 4K (3264 x 2448) resolution. The Dome security cameras capture 4mp resolution footage and transmit that footage to the NVR via the included RJ45 cable. The kit also comes with FREE Monitoring Software so I can monitor my surveillance footage from anywhere. It has also got updated features like missing object detection, heat map and tripwire. So far my security concerns mattered I was badly in need of a good security device. And luckily I came across this amazing products with multiple good features. Wherever I go I can freely enjoy my journey as my home is under the supervision of one of the best security. The remote monitoring system made it easy to get the cameras on my mobile just in a blink. An Ultra HD video quality gives me clear footage of the surveillance area even when I am out of reach. It seems like I am taking my house along with me whenever I move out. If you are searching for something like this just go for it undoubtedly. I am a business person and the urge to provide the best security to my business place led me to buy this product. I was not sure whether I am making the right investment or not but after using the product there is no doubt that my investment was just more than perfect. This surveillance kit is truly what I was looking for. I can rely on this camera blindly, this my true security device. Its performance is truly appraisable. It also comes with a free warranty of 2 years and lifetime technical support by the expert technicians. The best thing is it has got remote monitoring system which helps me to get my cameras connected to my mobile just in a touch.